The Vox amPlug 2 is the headphone guitar amp that lets you enjoy serious guitar sound, fast. It's ideal for jamming for fun at home or warming up for a gig. Simply plug the amPlug directly into any guitar, attach a pair of headphones and enjoy serious guitar tone without waking the neighbours. This new and updated amPlug 2 features a convenient rotating jack, auto power off and new preset rhythms. The Metal model delivers the explosive roar of US high-gain metal sound. The new Vox amPlug 2 is perfect for late night practice or when you just want to lose yourself jamming with headphones and your favourite bass. Plugging in to your bass is now even easier thanks to the newly engineered jack plug that features a 180 degree rotating movement. So regardless of your guitar's jack location or whether you prefer to sit or stand you can angle the amPlug 2 for comfort and convenient access to its controls. The amPlug 2 Bass features 9 preset rhythm patterns ready to jam along to and is a great alternative to a using a basic metronome. 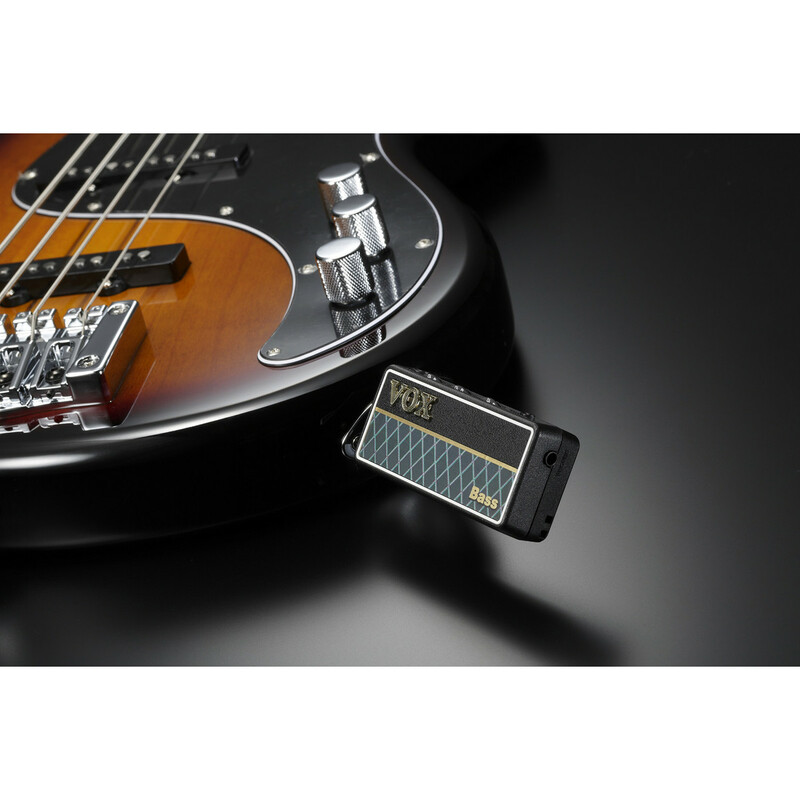 This Bass model also allows the amount of gain to be switched. "Bass" model includes nine built-in rhythm patterns for convenient and effective practising.